This past weekend I read an outstanding essay in The New York Times “Book Review” section by Brian Morton, the director of the writing program at Sarah Lawrence College. In it, he describes an encounter with a college student who had been reading The House of Mirth. Upon seeing a description in which one of Edith Wharton’s characters describes another in an anti-Semitic way, the student threw the book in the garbage. Morton reflects on the fact that restricting material because of youthful idealism can limit the breadth of learning that our students experience from literature. Last July, in “The Case for Classics,” I expressed my belief that classics, even those that contained controversial ideas, should continue to be included in high school curriculums. After reading Morton’s essay, I realize that not only are some schools preventing students from being exposed to the wide array of attitudes and behaviors of the past, but the students are often purposefully cutting themselves off from books that may challenge their idealistic beliefs. 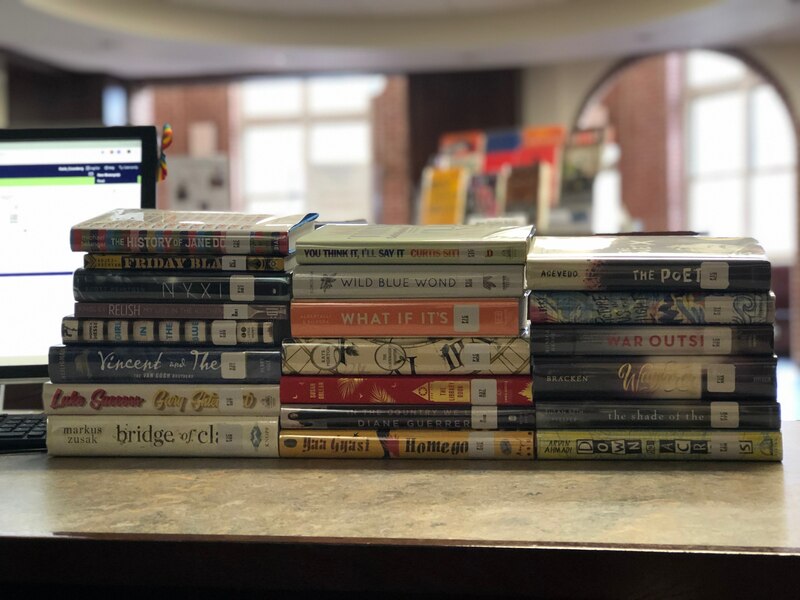 As a high school librarian, I spend time each day recommending books to students, teachers, administrators, and sometimes parents in the community. Part of my job is to assess people’s reading preferences and to connect them with literature that will resonate. When I do collection development, I read reviews, analyze the content of books, and make decisions based on our high school population and its distinct needs. But there are times when even I hesitate before ordering a book. The current psychological environment in our world is volatile, with people’s emotions often clouding their ability to think critically and intelligently about important issues. One of the main benefits of reading is that it expands people’s views, allowing them to empathize with those who are different from them. The beauty of good literature is that it has the power to infiltrate the recesses of our minds, dig out beliefs we may not even know are there, and shake them up until we are able to see them in a completely different way. Because of the divisiveness that permeates our society, librarians and teachers are, understandably, afraid to stir things up or upset others, lest their ideas escalate into contentious debates. But as the dispensers of information, it is our job to supply our evolving students with everything they need to make their own choices in the future, and this should include giving them books that promote viewpoints with which they strongly disagree. Paramount to exercising their intellectual muscles is providing them with books whose ideas may not align with their own. It’s easy to defend our personal values when discussing literature, but harder to justify making choices that may endanger our reputations, or more problematically, our jobs. As much as we are taught in library school to value freedom of speech and to fight against censorship, our better judgment will often prevent us from ordering an incendiary book. For example, if I see a title that enthusiastically supports white supremacist or other blatantly racist ideas I am not likely to add it to my collection. But when I recently thought about ordering Becoming, Michelle Obama’s new memoir, my decision was not as easy. Knowing that politics is such a touchy subject, I wondered if it would be questionable to have this book in our library, despite the fact that its content steers clear of politics for the most part. Ultimately I followed my gut and ordered it. Which leads me back to Morton’s idea that encouraging students to put themselves into characters’ and authors’ shoes, whether from hundreds of years ago or in modern times, will help them see opinions within a specific context. Writers come to books with their own personal baggage, which influences their work. If we can help students understand this, we can begin to instill a deeper sense of inquiry in them. Eventually, they will see that when they read, the questions they form, especially about the words and actions that go against their own ideals, will lead to the growth that is so important to becoming well-read, informed citizens and readers. ‹ How are school libraries like an ice cream shop? Exactly! But better put than I could ever articulate!